This compilation of original papers selected from the 19th Conference on Postal and Delivery Economics and authored by an international cast of economists, lawyers, regulators and industry practitioners addresses perhaps the major problem that has ever faced the postal sector - electronic competition from information and communication technologies (ICT). This has increased significantly over the last few years with a consequent serious drop in mail volume. All postal services have been hard hit by ICT, but probably the hardest hit is the United States Postal Service, which has lost almost a quarter of its mail volume since 2007. The loss of mail volume has a devastating effect on scale economies, which now work against post offices, forcing up their unit costs. Strategies to stem the loss in volume include non-linear pricing or volume discounts, increased efficiency and the development of new products. This loss of mail volume from ICT is one of a number of current problems addressed in this volume. The Universal Service Obligation (USO) continues to be a leading issue and concern that ICT undermines postal services' ability to finance the USO is discussed. The importance of measuring and forecasting demand and costs take on even greater importance as ICT undermines the foundations of the postal business. This thought provoking book brings to bear new analyses of the most serious threat post offices have ever faced and raises fundamental questions as to the future of mail. 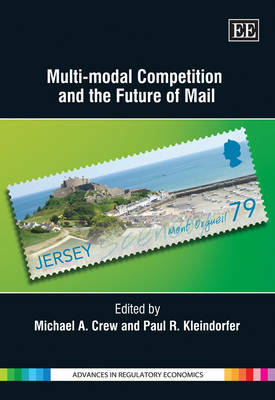 Multi-Modal Competition and the Future of Mail is an ideal resource for students, researchers in regulation and competition law, postal administrations, policy makers, consulting firms and regulatory bodies.